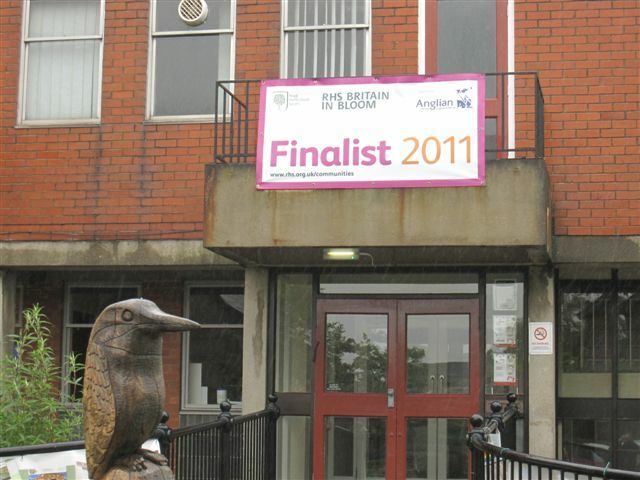 Anglian Home Improvements are the sponsors of this years Britain in Bloom. We have been receiving applications for upcoming projects for communities across the UK. Here is one from Garstang. The trustees of Kepple Lane Park are currently fund raising to develop a currently under utilized field, on the edge of the town into a multi age, multi use park which will include sensory garden, open air theatre, picnic area, play equipment for “older” children….younger children’s equipment already on site and a seniors trim trail. (Planning permission has recently been given). Phase 1 sees the development of the sensory garden and theatre areas, together with part of the play area, (overall cost approx £60k) and the trustees have applied for various grants to Lancashire Enterprise Fund and Awards for All that will allow for the development of phase 1. The result of the applications will be known mid June, however there will be a need for seating in the area. Dependent access to the garden and theatre area. This development will provide facilities in the area of Garstang that currently aren’t available. Final design of the park after regular consultations with local residents, schools (4), Wyre Borough Council and Lancashire County Council, police and Scout/Guide groups. Overall aim to bring the local community together with the provision of additional facilities for the area. Anglian Home Improvements raising the standard since 1966. Visit the Anglian website for information on our range of conservatories. Phase 1 sees the development of the sensory garden and theatre areas, together with part of the play area, (overall cost approx £60k) and the trustees have applied for various grants to Lancashire Enterprise Fund and Awards for All that will allow for the development of phase 1.